Some kids growing up at the Frog Lake First Nations don't know what it's like to grab a glass and fill it with drinking water from their taps at home. 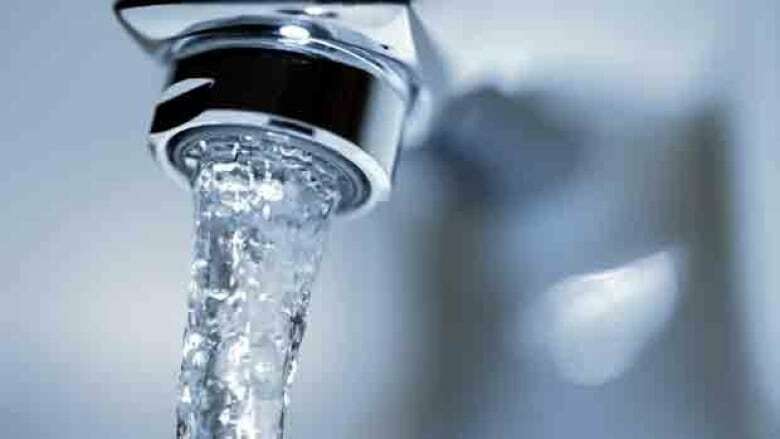 The Alberta government announced Thursday it will spend $100 million to make drinking water clean and safe on First Nations. Some kids growing up at the Frog Lake First Nations don't know what it's like to grab a glass and fill it with clean drinking water from their taps at home. The community east of Edmonton is one of 13 First Nations in Alberta currently under a boil water advisory issued by Health Canada. That means many of the 1,400 people living in the community must buy bottled water. "It's sad that our people have to go through this in this day and age," said Coun. William Quinney. "It's bad enough our poverty rates are high in First Nations, and on top of everything else we've got to go pay for water." There are some residents who can't afford to pay for water, he said, so some of them continue to drink from the taps and get sick. 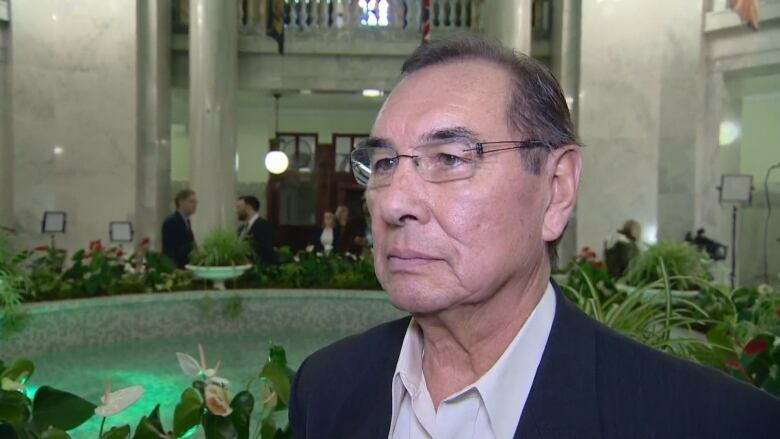 The Alberta government announcement on Thursday that it will spend $100 million to make drinking water clean and safe on First Nations is a great first step, Quinney said. Frog Lake would definitely be one of the communities to apply for the money, which amounts to $25 million every year for the next four years, he said. The province said it will talk to First Nations communities in the coming days to figure out which projects can be funded. "I'm very, very encouraged and thankful, in fact, that this is happening," said Willie Littlechild, grand chief of Treaty 6 First Nations. "Because in this day and age we shouldn't have to be boiling our water still, or having signs to not drink this water on the reserves." A CBC News investigation in 2014 revealed two-thirds of all First Nations communities in Canada had been under at least one drinking water advisory since 2004. Communities under boil water advisories are warned not to use the water for cooking, brushing teeth, washing fruits or vegetables or even for bathing small children, who could accidentally swallow the water. Such advisories are normally issued because of inadequate chlorine levels or when dangerous bacteria such as E. coli are discovered. The water is considered safe if it is brought to a rolling boil for a minute or more. In announcing the new money Thursday, Finance Minister Joe Ceci said it's shameful there are so many boil water advisories in Indigenous communities. The province said the $100 million will pay for infrastructure to deliver clean water to the boundaries of First Nations, with the federal government investing to upgrade systems on the reserves. In 2016, Prime Minister Justin Trudeau's government promised safe drinking water for all First Nations communities within five years. Quinney said Frog Lake's water treatment plant, which was built 27 years ago, needs a major upgrade. Having water piped into homes would be an improvement on the current system, he said, where trucks carry water to cisterns buried underground at each home. Frog Lake spends about $500,000 every year cleaning out those cisterns, he said.